The need to be connected to the Internet is becoming critically important these days. From just checking your Facebook stream to business travelers needing to remain “plugged in”, the ubiquity of the Internet is a huge need. So out of this need to always be connected, one savvy entreprenuer decided that he was tired of traveling around the US and not knowing whether his flights had Internet connection (WIFI) or not. And HasWifi was created. 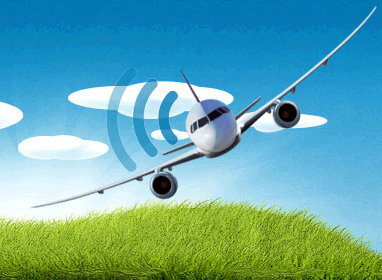 With HasWifi, you can now check your flights to find out if you have WiFi connection. This can help you determine whether you want to purchase the ticket or not, and find flights that are Wifi enabled. Anthony Petito, the founder of HasWifi is also contemplating an API that traveling sites like Expedia.com could use to integrate into their booking services. “Several months ago, I had a slew of flights that took me across the country. Since they were all booked back-to-back, it left little time between trips where I could actually hop on an Internet connection to get work done. That is really quite a clever idea. Most often you dont even consider taking a laptop out or a phone to check things on the net in a plane, given all the hub-bub they draw to your attention about it. But knowing in advance which planes you can use to check your businesses online whilst flying would be a big help, if you can get accurate information from the flight company’s of course.